Would you like to lift your skiing or snowboarding up a level or two? Why not learn something new, like how to do steeps, get air or trick it in the park, with personalized instructor athletes like Cody Barnhill, Andrew McLean or Kim Havell? It’s all only $75, which includes one morning clinic and one afternoon clinic, plus lunch—and your lift ticket. 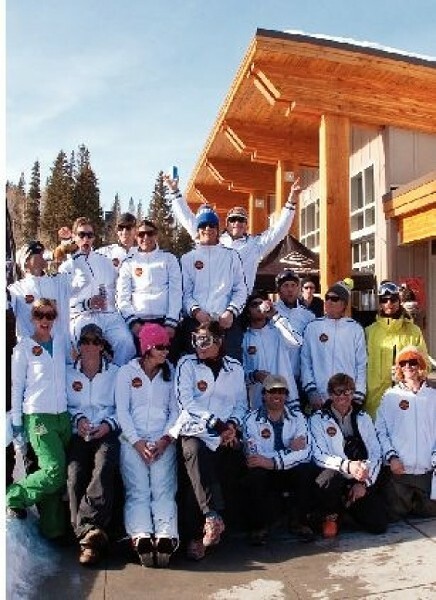 For anyone who likes riding or gliding over snow, Brighton’s second annual Big LePowSki is the event of the year (group shot from 2009 shown above). The event officially starts Thursday, Feb. 25, with a backcountry film festival; admission for that is $10. On Friday, there’s registration plus a meet-and-greet party with the pro athlete instructors at the Black Diamond store. Get your confidence up, hang with pro athletes and learn stuff you’ve never dared try before. And if that’s not incentive enough, there’s a party Saturday night with the pros and the people you met at the clinics earlier in the day.